The Amigo Airflow is as cool-looking as it is cool! 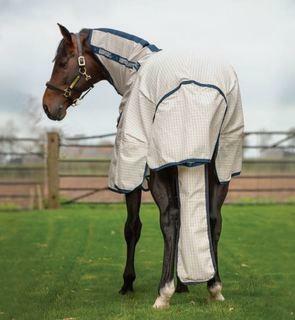 Fabric – a quality 40% cotton, 60% poly upper, combined with polyester mesh panels underneath, this rug gives you great UV and Fly protection while doing it’s best to keep your horse cool on hot days. Amigo Bravo Allrounder Disc Front – a new broader pattern to suit all shapes and sizes. The Amigo Bug Buster Vamoose rug benefits from the same great rug fit but with an upgrade on the neck rug to give additional depth and length. One of our best sellers throughout Spring & Summer seasons! Colour -Silver with navy trim. 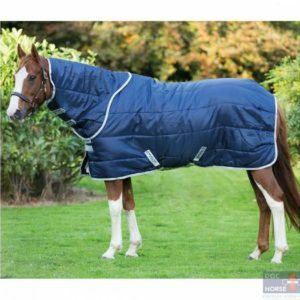 The Amigo Insulator Plus is a rug to be used on its own or under another rug, in the stable or under a turnout, even when travelling in very cold weather. Made from a strong 210D ripstop polyester outer with shine-enhancing lining and 200g fibrefill in the body of the rug.The detachable neck rug has 150g fibrefill. 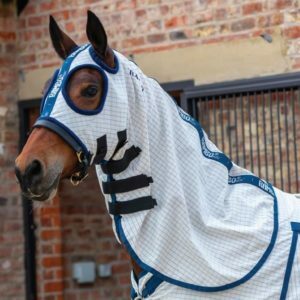 A super new addition to our summer range, the Rambo Airflow cotton rug is the perfect compliment to your horse’s summer ‘robe! A super new addition to our summer range, the Rambo Allrounder V-Front cotton rug is the perfect compliment to your horse’s summer ‘robe! Featuring fantastic patented V-Front closures to give freedom to graze and wither relief, SureFit neck design for comfort and full front and hind Leg Arches to allow best fit and freedom of movement. Neck cover is detachable. Stunning poly cotton summer hood to suit the new Rambo Optimo Summer Sheet, new Rambo Airflow or the Rambo Allrounder V-Front – note only sizes 5’6 to 6’6. Bringing the much loved Rambo Optimo pattern to our summer cotton range! Split Technology for total freedom and comfort! The Rambo Optimo Stable Rug is made from a strong, durable 1000d ripstop polyester outer, with anti-rub shine-enhancing lining and 200g thermobonded fibrefill. Detachable neck cover available separately. Matching neck cover to use with the Rambo Optimo Stable Rug in Medium weight. Made from strong durable 1000d ripstop with 200g thermobonded fibrefill and anti-rub shine-enhancing lining. Size S for 5’6-5’9, Size Medium for 6’0 – 6’3, Size Large for 6’6 – 6’9 and Size XL for 7’0-7’3. New this season! The Rambo Show Set Rug – an effortless way to keep your horse warm, clean and show ready! Available in sizes Small (5’3 – 5’9), Medium (6’0 – 6’6) and Large (6’9 – 7’3) in Navy/White. The Rambo Show Set Rug Cotton – an effortless way to keep your horse super smart and show ready this season! Available in sizes Small (5’3 – 5’9), Medium (6’0 – 6’6) and Large (6’9 – 7’3) in Grey/Raspberry/Blue/Silver.